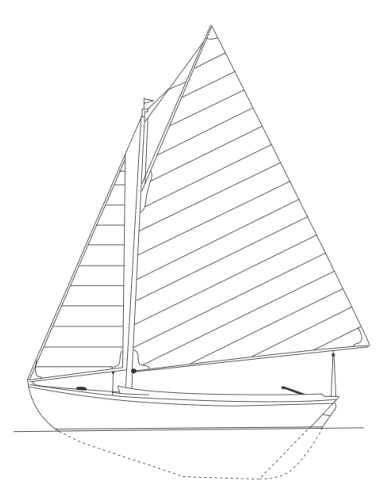 The Herreshoff H-12&half; has been referred to as the best small boat design ever. Perfect proportions coupled with expert construction equal a timeless design and a boat that lasts for generations. Her hull shape and external lead keel provide stability through the water and her cockpit provides plenty of comfort for 6 adults. Yet she can be easily single handed with her self tending jib. We began building the fiberglass version of the Fishers Island H-12&half; in 1950 after acquiring the exclusive rights to the Herreshoff Manufacturing Co.’s designs. In 1972 we also started building the original H-12&half; in fiberglass. 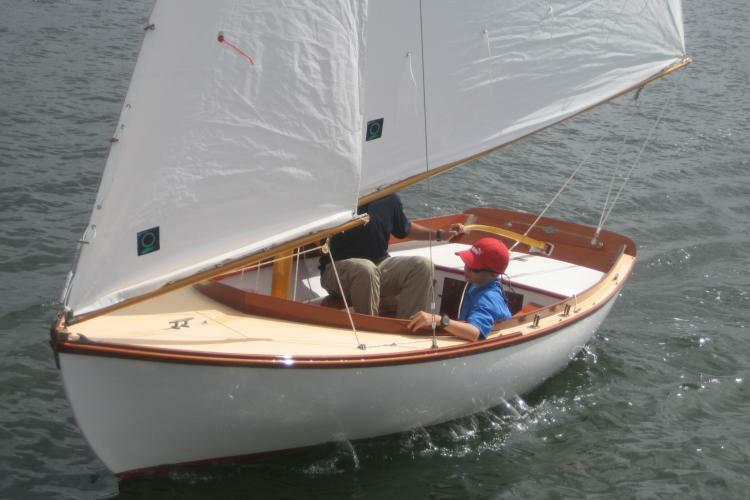 Using our fiberglass mold made from the original Herreshoff jigs and patterns the fiberglass H-12&half; has the exact shape and specifications that Captain Nat created. The H-12&half;’s fiberglass hull provides for easy maintenance, but bronze hardware, wooden spars and trim maintain her beauty and heritage.